Information management is a critical component of any high performing organization. Since 1964, DRS has provided innovative document scanning and management services in Atlanta, Georgia and across North America. DRS delivers expertise for managing the lifecycle of business critical information from creation and capture, through collaboration, processing and preservation. We deliver customized document scanning and management services in Atlanta and across Georgia that are tailored to solve specific industry information challenges. We help our clients migrate and convert critical documents to digital format with our advanced Atlanta scanning services center that deploys both on-site and off-site. As an alternative to outsourcing, we architect and install in-house systems for scanning paper and microfilm with the latest leading technology. At DRS, we pride ourselves on having an industry leading range of document management solutions for Atlanta businesses. Our solution suite includes offerings for workflow, business process automation, information preservation, analytics, mobile, cloud, SaaS, file sync an share and more. 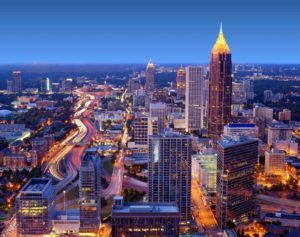 The team at DRS is fully acquainted with regulatory requirements around document management and scanning in Atlanta, Georgia. From day one, our experienced technicians can dive into the unique nature of a situation and quickly design and deploy solutions to accomplish your project goals. Our scanning and document management systems are built around implementing a fast, simple, low-cost solution. So if your business is looking for an affordable and effective information or document management solution in Atlanta or elsewhere including Columbus, Augusta, Macon, Savannah, and Athens.